Elly- she’s BEYOND what you could hope or wish for in a photographer- Surpasses what I even knew existed! In preparation for the day, especially weeks leading up, and ALL throughout my wedding day, She read my mind before I could ask, she worried for me so I never had to, and she made my fear of feeling like too much of a “mature bride,” fade away in the art of her lens & the beautiful story she told with her art. I will go so far as to say it felt like she created a fairy-tale memory that I couldn’t have dreamt up more beautifully...and I never even dreamed of my wedding day growing up!! I could go on and on ...so much that I panicked realizing today I waited too long to write this review. I feared I wouldn't do it the Justice Elly deserves. tonight it hit me-I can’t wait ONE MORE DAY to write this review- what if a bride is struggling to decide and these words might help! ?” So I hope maybe a bride, family member, friend, or loved one reads this and hears or sees what they need to in order to make the best choice they could make in their wedding planning! The most assured decision (besides my husband :)before during& after process, was choosing Elly. She’s exceptionally magical. She will capture your day and the memories of your special event through a lens and with a humbling artistic hand. Every image i received felt like opening a precious gift. I will Forever be thankful to Elly for capturing memories that transport us to that day and ones we will treasure always. "she's capturing you in your best light"
"Elly is an artist. Truly. She is amazing. Although you wouldn't exactly know all this when you meet her because she is just so down to earth and fun. You start to goof off around her, all the while not knowing she's capturing you in your best light. Which is great, because I HATE posing. For the sake of brevity, Elly and her talents are beautiful, and she should absolutely be trusted make your most special times eternal." "The list of why a bride & groom should hire Elly for their big day ( for all life's special occasions) is truly endless. For as long as I can remember I've insisted on photography being one of THE most important parts of my wedding day. You can have all the fine details, flowers & happy guests but without truly remarkable photos you have no sure way to remember how beautiful it really was. As much as I am sure I have the perfect groom I am positive I have the perfect photographer !! She's shot so many weddings in many countries & cultures & she never gets stuck in a fad. No one session ever resembles the next. I trust her to always be enthusiastic in her work! Our engagement session was made to fit our personalities and we truly enjoyed the day, she didn't rush & was passionate in all that we requested of her. For the last month, since we received our engagement photos we have been constantly stopped & complimented on the authenticity, vibrancy & romance in her work. I feel like Elly's pictures tell a story and in what will be one of the biggest days of our lives I am able to be one stress free bride, knowing our photos will be flawless.... Thanks to a one in a million artist!" "Elly is simply AMAZING!!! Choosing her as our wedding photographer was the easiest and best decision we made! First of all, she is so easy going, friendly, and wonderful to work with. We used her for our engagement pictures, my bridal portraits, and our wedding, and each experience was PERFECT! My husband and I are both shy in front of the camera and she did a fantastic job of putting us at ease and capturing beautiful pictures for our engagement shoot. We had so much fun with her and didn't want the shoot to be over! My mom and sister fell in love with her at my bridal shoot, and ALL of our wedding guests commented on how great she was to work with. Second, she takes GORGEOUS pictures!!! When I first looked at Elly's webpage, I was hugely impressed with her work but wasn't sure if she was the right fit because there were some shots I didn't think we could pull off because we're not models. Boy was I wrong! I absolutely LOVE how we look in our pictures! Elly's photography is the perfect combination of raw beauty shots, dramatic lighting/scenery shots, and shots that capture the pure joy of moments. As my husband and I looked through our wedding pictures, I went from crying to laughing to being amazed to crying again. We will always cherish the images Elly took and are SO glad she was the one who captured our big day!!!" "My husband keeps saying, "Wow Babe, that doesn't even look like you, you look like a model!" (LOL) (Bless him!) I literally cried the first time I saw these! I love Elly! She is amazing! I was searching for a photographer and kept asking around to all the new brides I knew and was frankly underwhelmed by all their photos until I stumbled upon Elly through a mutual friend. I fell in love with her photos the second I saw them! I knew I HAD to have her! I wanted someone with and eye for those special moments, an eye for for the abstract, an eye for the unexpected! I contacted her but quickly realized I couldn't possibly fit her into my budget. I was devastated because I couldn't imagine any one else photographing our wedding after seeing her work! Long story short, she randomly called me back while I was shopping at Rugged Warehouse (haha) and told me that we could work something out smile emoticon I will never forget that day and all the prayers my mother and now mother-in law sent up for this miracle to happen. I am blown away! I have never seen such talent and I will be forever grateful for Elly's professionalism, her ability to contort herself on the ground for the most incredible photo you have ever seen and for her ability to capture precious photos w/o you even knowing she is there. She started shooting the moment she walked in and never stopped. If you are considering hiring an amateur photographer, a family friend or a coworker who does this "on the side", please don't! After all is said and done, all that's left is you, your spouse and the memories of this most precious and special day! Our wedding day was one of the most incredible and amazing days of my life and thanks to Elly, I have the most precious photos to remember it by!" "My wedding day was the happiest day of my life, and Elly has given us the opportunity to re-live that day over and over again. She captured every tear, laugh, hug, kiss and every single emotion of that day! Her pictures are just absolutely amazing. Not only is her work incredible, but she was such a joy to work with. You can tell that she loves what she does, and she is darn good at her job. I would/will recommend her to anyone looking for someone to eternalize their special moments." All I have to say is...WOW I'm in love with ALL of my wedding pictures. If you are ever in need of a fabulous photographer(which who doesn't need one of those in their life) Elly's Photography is who you need!!! She and her team were absolutely flawless and I couldn't be happier with all the work they put into making these photos absolute perfection. We contacted her almost two and half months before the big day to book her, She was very flexible in meeting us to get our vision, and the time of preparation she put into making my timeline perfect so that I could just relax was so helpful. The day of the wedding I had no worries of making sure all my small intimate moments would be documented for me to enjoy forever. Elly is so talented and she has the ability to capture the special moments perfectly! I would recommend her to anyone that is needing photography! I hired her for our engagements photos, my bridal portrait and the day of the wedding! I have had the pleasure of knowing her more than 15 years and she is very sweet and easy to work with. There was never a time I felt I needed to tell her which photos I needed captured, she knew what questions to ask before hand in order to make the wedding day flow perfectly! Elly will by my photographer for life! "Elly is absolutely fantastic. Not only is she a great photographer, but she is a great and friendly person to be around. My husband and I are not picture people, but our photos were amazing. Elly did our engagement and our wedding photos. She is very prompt to respond to emails and phone calls and always has time for a question. She was flexible in scheduling and was willing to travel anywhere to get the pictures we wanted. She is open to ideas and has plenty of her own and she will do anything to get the perfect shot! She will always be our photographer for any future event. 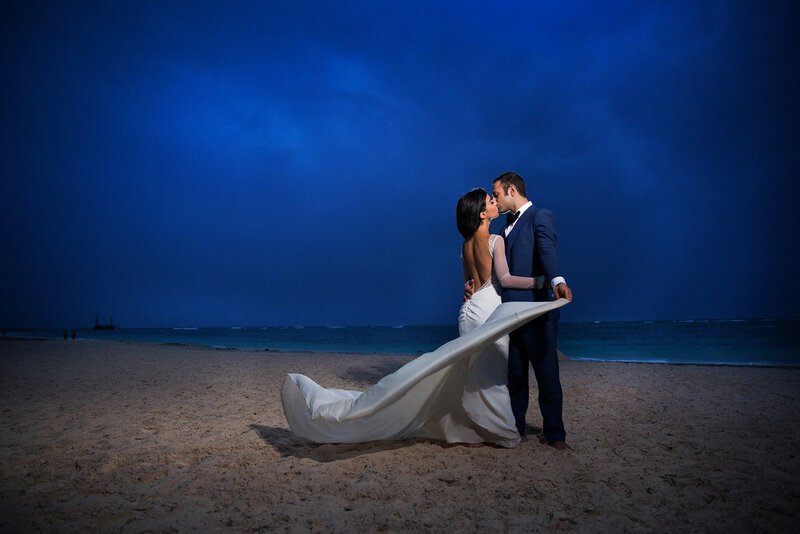 You can not ask for a better photographer in experience, professionalism, and personality." "We are very impressed with the quality of work that Elly did. Our pictures turned out so beautifully and really helped to capture the memories of the day! She also did a great job of getting all the main pictures without distracting from the moment. We almost forgot that she was there! And then were pleasantly surprised when we saw the pictures and how she really was everywhere! We would definitely recommend her and her team to anyone looking for an artsy professional." "The photos are incredible, thanks for all your hard work! I really enjoyed looking at the reception photos they were fun! The couple photos are breath taking, they should be published and enlarged and hung up on the wall! The ones coming out of the church were especially great! Your photos captured the emotion, essence, and excitement of the day and brought me to tears at times and laughter at other times, so thank you for all that! Also I think its one of the best weddings you have shot, i'm glad I was a part of that, yay! Very professional and artistic and I can't wait for you to shoot mine!" Elly did an awesome job with our wedding photography. She's very easy to get in touch with and is really fast on having the photos done after the wedding. Several friends of mine said their photographer took over 6 months...Elly was done with ours in 3 weeks! She has an uncanny ability to always be in the right place at the right time to capture all the funny or great shots too; it's pretty crazy. She took a hojillion fantastic pictures and I'd 100% recommend her to anyone. OMG!!!! Elly, I do not know how you do it! We had some seriously hard situations to deal with as far as setting goes, but you made EVERYTHING look amazing!!! I cried (again) looking at these. It took me an hour and a half just to look through them. I know it took you forever to edit them! You were amazing, My cousin who was at the wedding is getting married in October, she's waiting to see how my pictures turn out before she finds a photographer, I am HIGHLY recommending you. I loved EVERY picture. Thank you for making my memories absolutely breathtaking! "Elly you are the BEST! Amanda and Keith’s wedding pictures are wonderful, fabulous, fantabulous! We spent about 2 hours quickly running through them this morning and still haven’t seen them all. I don’t know how we’ll be able to narrow down the selection to just 200! We’ve ooh-ed and aah-ed and squealed and cried at so many only to turn around on the next 2 or 3 and think they were even better! Many wonderful traditional settings as well as those unique settings and different angles have truly captured their beautiful day! Thank you, thank you, thank you for an awesome job!" "I just wanted to also tell you what a beautiful job you did. I could not have asked for more and felt that our wedding can be relived for us every time we look at the pictures. Please feel free to use me as a reference if needed in the future! Your work speaks for itself. I know you will one day be one of the most sought after wedding photographers. I feel so lucky to have had you there to capture mine. I just wanted to send a note to thank you so much for the great job you did at Holly & Bryan's wedding. The pictures are fabulous. Please know that if anyone needs a wedding photographer, you will be highly recommended. Your professionalism was superb! !